Bob Egelko July 24, 2018 Updated: July 24, 2018 10 a.m.
Dewayne Johnson (center), former groundskeeper for the Benicia Unified School District, leaves Department 504 with his wife Araceli Johnson (right) behind attorney Brent Wisner (left) at Superior Court of California during the Monsanto trial on Monday, July 23, 2018 in San Francisco, Calif.
A former school groundskeeper, diagnosed with terminal cancer, told a San Francisco jury Monday that he called a Monsanto Co. hotline twice — once before his diagnosis, once after — and asked whether the herbicide he was spraying on the job, the most widely used weed killer in the world, could cause harm to humans. Both times, Dewayne “Lee” Johnson said, the person at the other end of the line listened to his account of being accidentally doused with the herbicide glyphosate, and said someone would call him back. No one ever did. Johnson, 46, of Vallejo, was a groundskeeper and pest-control manager for the Benicia Unified School District from 2012 until May 2016. He was diagnosed with non-Hodgkin lymphoma in October 2014 and with what his lawyers described as a more aggressive form of the cancer in March 2015. Even after the latter diagnosis, Johnson said he continued to spray Monsanto’s product, a high-concentration brand of glyphosate called Ranger Pro, until he became convinced that it was dangerous and refused to use it in his final months on the job. His damage suit, now into its third week, is the first of about 4,000 nationwide to go to trial against Monsanto, now a subsidiary of Bayer. 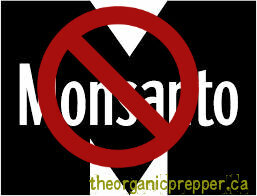 The company markets glyphosate, the world’s leading herbicide, as Roundup, and in higher concentrations, as Ranger Pro. In 2015, the World Health Organization’s International Agency for Research on Cancer classified glyphosate as a probable human carcinogen. Monsanto disputes the assessment, noting that the U.S. Environmental Protection Agency has never classified glyphosate as a carcinogen or restricted its use. The company’s lawyers also said Johnson’s primary treating physicians have not determined the cause of his cancer. 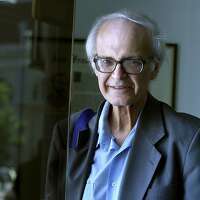 Earlier Monday, his wife and a physician described Johnson’s deteriorating condition, although he did not appear frail on the witness stand, speaking calmly in a deep, resonant voice. But jurors saw photos of the painful welts and lesions — on his legs, arms, face, and even his eyelids — that have arisen while he undergoes radiation treatment and chemotherapy. Johnson is scheduled for another round of chemotherapy next month and said he would next turn to a bone-marrow transplant. Araceli Johnson, his wife of 13 years and a nurse practitioner, said she now works 14 hours a day at two jobs to support them. “My world shut down” when her husband told her he had cancer, she told the jury. Attorney Brent Wisner answers questions from the media at Superior Court of California on Monday, July 23, 2018, in San Francisco, Calif.
Johnson started working for the Benicia schools as a delivery driver but then applied to become the district’s first pest-control manager and passed a licensing exam. “I liked the job a lot,” he said, recalling how some students gave him a poster for ridding their school of a skunk. He said the district told him to use the Ranger Pro form of glyphosate because Roundup wasn’t strong enough to remove all the weeds from hillsides on district-owned property. A supervisor told him the product was safe as long as he wore long-sleeved shirts, pants, shoes and socks. In addition, Johnson said, he wore a sturdy jacket, rubber gloves, goggles and a face mask while he mixed the herbicide with water in 50-gallon drums and sprayed it 20 to 30 times a year for two to three hours a day, mostly during summer months. But he said he couldn’t fully protect his face from wind-blown spray. And twice, he said, he got drenched with herbicide, once when a spray hose became detached from a truck that was hauling it, and another time when the chemical somehow leaked onto his back. He said he had no access to a shower until much later in the day. It was after the first exposure, Johnson said, that he started noticing rashes on his skin and called the company hotline. During cross-examination, Monsanto lawyer Sandra Edwards asked Johnson about his past statement to his doctors that he had first developed a skin rash in the autumn of 2013, before he was accidentally doused with glyphosate. The company has contended that the sequence of events suggests other causes for Johnson’s illness. 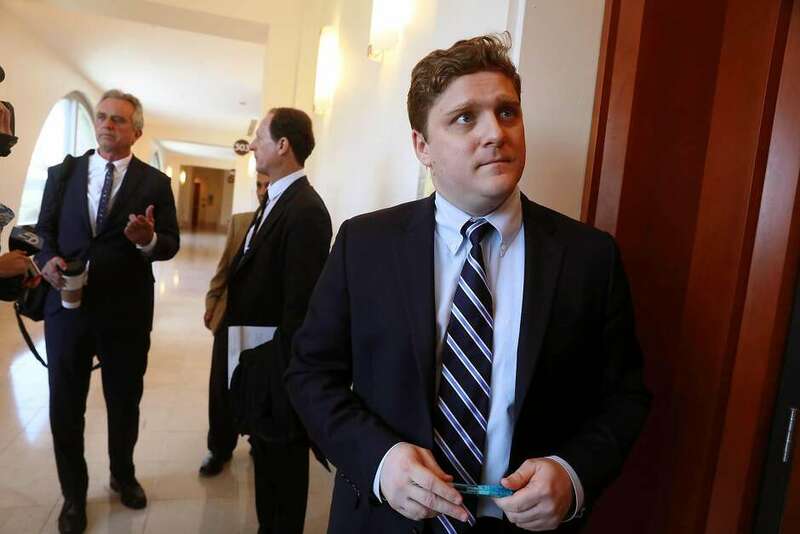 “It’s hard to remember all that way back,” said Johnson, whose wife testified that her husband has sometimes suffered memory lapses since his diagnosis. That appeared to be on display early in his testimony Monday, when he said he had stopped working for the school district about five years ago, then was shown a document noting that he had worked there until May 2016. 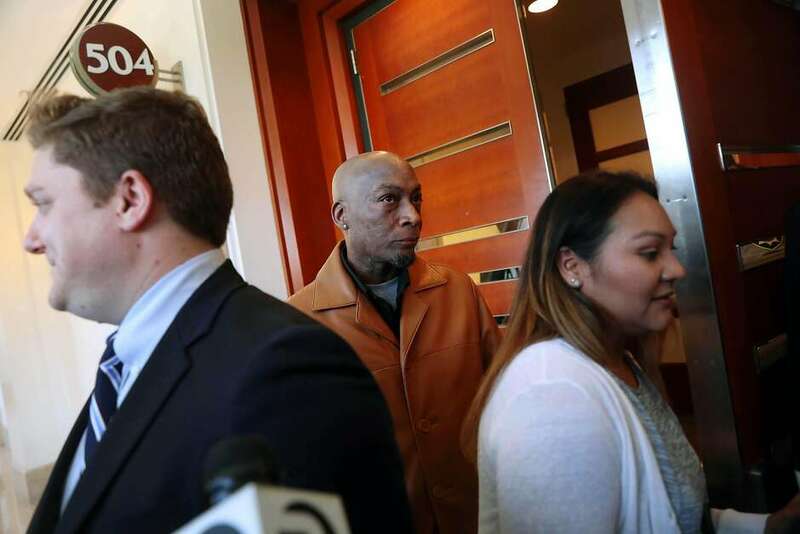 Jurors also heard from Dr. Ope Ofodile, a dermatologist who coordinated Johnson’s medical treatment at Kaiser Health Care in Vallejo from 2014 through mid-2016. She said she saw him more than 25 times, removed one of his lesions, administered radiation, and wrote a letter in 2015 asking the school board not to expose Johnson to airborne chemicals. Zika, Gates, Vaccines, Oh, My! Let’s try this one more time.. The Zika virus does not cause microcephaly. Zika has existed for more than 70 years without a single documented birth defect attributed to the disease. The virus is insignificant and more mild than the seasonal flu, with symptoms ranging from a low-grade fever to body aches and other cold-like symptoms. The fact of the matter is Big Chem has pesticides to sell and Big Pharma has a vaccine to push. Suddenly, a disease that has been irrelevant for decades is an imminent health threat. A gullible public has been tricked into believing the only way to save ourselves from certain death or deformed babies is to allow the aerial abatement of chemicals banned all over the world. For example, this past weekend’s spraying in South Carolina was successful in wiping out those pesky Zika-carrying skeets. Too bad it also decimated the state’s bee population. Millions of bees are dead as a result of the state’s first aerial spraying in 14 years. The pesticide, Trumpet (which contains naled), rained down from the sky for 2 hours early Sunday morning. Hmmm…it must have been just an unfortunate oversight to spray heavily during the precise time explicitly discouraged on the label. But, hey, at least AMVAC Chemical Corporation and their parent company, American Vanguard Corporation are making millions. Chemical corporations aren’t the only ones who will profit from an insignificant disease. The U.S. government has commissioned Takeda Pharmaceutical Company for the development of a Zika vaccine, with as much as $312 million committed to funding. Takeda Pharmaceutical has plans for more than just a “cure” for Zika. The Japan-based Takeda also has vaccines for dengue, norovirus and polio in the works. “This Zika vaccine program joins our work in dengue, norovirus, our partnership with the Japanese Government on pandemic influenza, and the recently announced partnership with the Bill & Melinda Gates Foundation to help eradicate polio. These efforts to develop a vaccine against the Zika virus reinforce Takeda’s commitment to the health of people everywhere, including the most vulnerable populations that are threatened by Zika,” stated Dr. Rajeev Venkayya, Corporate Officer and President of the Global Vaccine Business Division at Takeda. The Bill and Melinda Gates Foundation, you say? Now, that’s interesting. It’s easy to see where the Zika virus crisis might fit in with Bill Gates’ admitted depopulation agenda. Not only are babies being born nearly brain-dead, but now women throughout Latin America are being urged not to have children during the next two years. Coincidence? And in the latest Zika news, GM mosquitoes are now being considered for use in fighting the further spread of the virus. The irony should not be lost on anyone that the proposed solutions for Zika containment (chemicals, vaccines) are the real causes behind the birth defects being blamed on the virus. Glyphosate, the main ingredient in Monsanto’s Roundup, “probably” causes cancer according the the World Health Organization. It has also been linked to microcephaly. Global Research Center also released a different report confirming Brazil’s rampant pesticide use if far more of a concern in microcephaly development than Zika. A study published in The National Center for Biotechnology Information reveals the the United Stated government has known for decades that a link between Tdap and microcephaly exists. At the end of 2014, the Brazilian government mandated the Tdap vaccine for all pregnant women and in the final months of 2015, the Zika-induced microcephaly ‘outbreak’ was all CNN could talk about. 29 countries all over the world have reported cases of the Zika virus, but not a single documented cases of Zika-related microcephaly exists anywhere but Brazil. That’s odd. Thank you to The Outliers for this invaluable information about the Tdap vaccine that the CDC pushes for every pregnancy, regardless of the patient’s previous history of receiving the vaccine. FACT #1. There are ingredients in the pertussis-containing Tdap vaccine that have not been fully evaluated for potential genotoxic or other adverse effects on the human fetus developing in the womb that may negatively affect health after birth, including aluminum adjuvants, mercury containing (Thimerosal) preservatives and many more bioactive and potentially toxic ingredients. FACT #2. The FDA has licensed Tdap vaccines to be given once as a single dose pertussis booster shot to individuals over 10 or 11 years old. The CDC’s recommendation that doctors give every pregnant woman a Tdap vaccination during every pregnancy—regardless of whether a woman has already received one dose of Tdap—is an off-label use of the vaccine. FACT #4. Drug companies did not test the safety and effectiveness of giving Tdap vaccine to pregnant women before the vaccines were licensed in the U.S. and there is almost no data on inflammatory or other biological responses to this vaccine that could affect pregnancy and birth outcomes. To read more staggering facts about the Tdap, please visit The Outliers here. The USDA has come under increasing scrutiny following charges of harassment and censorship. Due to mounting complaints from scientists, the USDA inspector general is opening an investigation. USDA whistleblower Jonathan Lundgren, Ph.D., claims he was retaliated against when he started talking about his research, which shows neonicotinoids cause decline in bee and Monarch butterfly populations. Many, if not most, of our regulatory agencies have a long history of protecting industry interests over public and environmental health. Most recently, the U.S. Department of Agriculture (USDA) has come under increasing scrutiny following mounting charges of harassment and censorship. In the U.S., nearly all corn, about 90 percent of canola, and approximately half of all soybeans are treated with neonicotinoids. As the use of these pesticides has gone up, bee and Monarch butterfly populations have plummeted. Jonathan Lundgren is one of these 10 scientists. 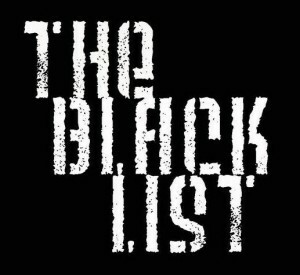 The other 9 have all chosen to remain anonymous for fear of even more reprisals. Lundgren’s research at the USDA shows that neonicotinoids are instrumental in the decline of bee and Monarch butterfly populations. But his work, and his criticism against factory farming, goes even deeper than that. He has become convinced and has spoken out about the fact that toxic insecticides like neonics are not some sort of necessary evil. We don’t actually need these types of chemicals at all in agriculture. As he notes in the video above, organic or regenerative farming actually produces higher yields and requires less land. This, I believe, even more so than his critique of neonics, poses a major threat to corporate agribusinesses. It does not, however, detract from the USDA’s mission, which is why the agency’s mistreatment of scientists like Lundgren is so revealing. Fortunately, Lundgren has become very outspoken about his whistleblower suit. So much so, the Shafeek Nader Trust presented him with a civic courage award last November, for taking an open stand against the USDA. Moving forward, he’s also setting up two new businesses: Blue Dasher Farm, which he intends to be a model for large-scale sustainable farming using crop diversity and other regenerative methods, and Ecdysis, a nonprofit science lab for independent research. However, the Policy fails to clearly prohibit political suppression and interference. While the Policy defines political suppression and interference, it does not include these acts in its definition of misconduct. The USDA, by its own admission, has yet to develop procedures for handling scientific integrity complaints. To compound the problem, an overly broad provision within the Policy actively encourages USDA to suppress scientific work for political reasons. The case of Jeffery Pettis adds even more weight to the notion that there’s a definitive agenda at work within the USDA to officially downplay any risks associated with neonicotinoids. “Pettis had developed what he describes as a ‘significant’ line of research showing that neonics compromise bee immunity. But in his opening remarks before Congress, he focused on the threat posed by the varroa mite, often put forward by chemical company representatives as the main culprit behind bee deaths. Only under questioning by subcommittee Chairman Austin Scott (R-Ga.) did Pettis shift. Even if varroa were eliminated tomorrow, he told Scott, ‘we’d still have a problem.’ Neonics raise pesticide concerns for bees ‘to a new level,’ he said. About two months later, Pettis was demoted, losing all management responsibilities for the Beltsville lab …. 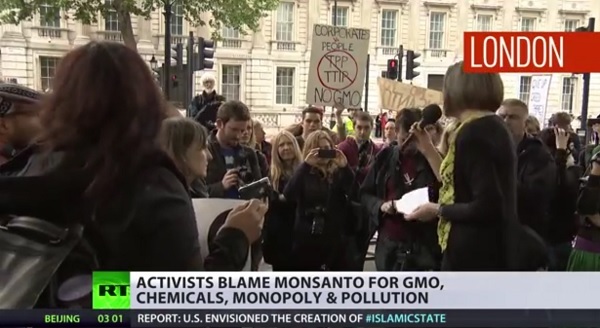 Is USDA Shielding Corporations Like Monsanto? While you would think that the USDA exists to protect you against the vagaries of industry, this is not the case. The chemical and agricultural industries spend millions of dollars to lobby for regulations that are favorable to them, and there’s a constantly revolving door between the agency and private corporations. For example, USDA Secretary of Agriculture Tom Vilsack is widely regarded as a shill for Monsanto, and he’s always been a strong supporter of genetically engineered (GE) crops, regardless of the scientific evidence against it. The undemocratic and highly unpopular 2005 seed pre-emption bill was also Vilsack’s brainchild. The law stripped local government’s right to regulated GE seed, including where GE can be grown. Overall, Vilsack’s record is one of aiding and abetting concentrated animal feeding operations (CAFOs) or factory farms and promoting both genetically modified organisms (GMOs) and animal cloning. To get an idea of just how broad and deep Monsanto’s reach is, take a look at the following chart. Over the years, this biotech giant has successfully infiltrated an ever increasing number of high-level federal regulatory positions in the U.S. government; many of which are positions meant to protect your food safety, including a number of top positions within the USDA. The most recent person to walk their way through the revolving door between government and industry is Krysta Harden, who spent over 6 years at the USDA — first as chief of staff to Secretary Tom Vilsack, and then deputy secretary. She’s been hired by chemical giant DuPont to head up its “public policy and government affairs strategies” department. You would think this activity would be illegal and prohibited but it is actually encouraged. The New York Times recently published an in-depth exposé9 on the legal battle fought against DuPont for the past 15 years over PFOA contamination and its toxic effects. The Intercept also published a three-part exposé10 titled “The Teflon Toxin: Dupont and the Chemistry of Deception” last year, detailing DuPont’s history of covering up the facts. DuPont is now working on a merger with Dow, and once the merger is completed, that chemical-seed company will be even larger than Monsanto. Considering DuPont’s history of covering up the toxic effects of their products, this gigantic entity is going to Monsanto in terms of being a serious threat, and the most perniciously evil company on the planet. 3 Death Foods to Avoid. Are These Foods Killing You From The Inside? Divorced For Being “Old!” See Her Revenge Makeover. Monsanto is currently trying to remove their class action suit being filed by T. Matthew Phillips to federal court in order to “prohibit inconsistencies in ruling,” but they also want to have the class action suit dismissed. 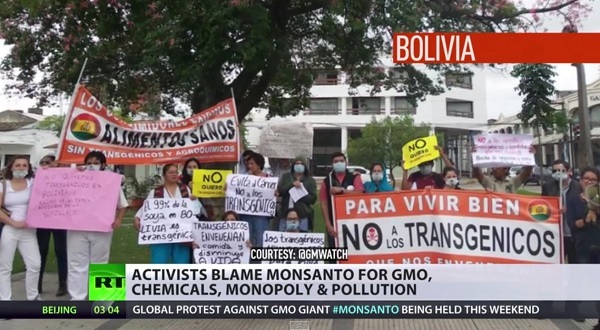 Protesters from New York, London, Berlin, Paris and even across South America, Asia and India rallied against the toxic agricultural practices of Monsanto, a corporation whose business model depends on poisoning the citizens of the planet, destroying the agricultural ecosystem, monopolizing the seed supply and hiring online character assassins to attack anyone who opposes its agenda. 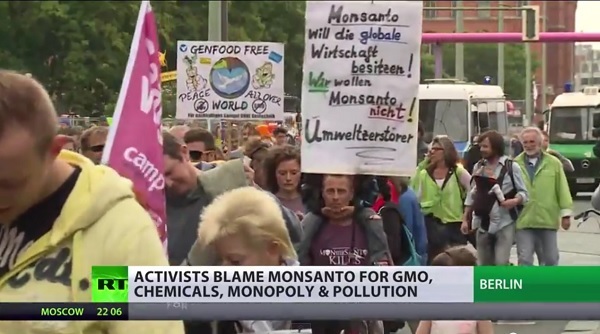 Protesters worldwide took to the streets today to demand GMO labeling and bans on Roundup (glyphosate), the toxic herbicide chemical that even the World Health Organization recently linked to cancer. 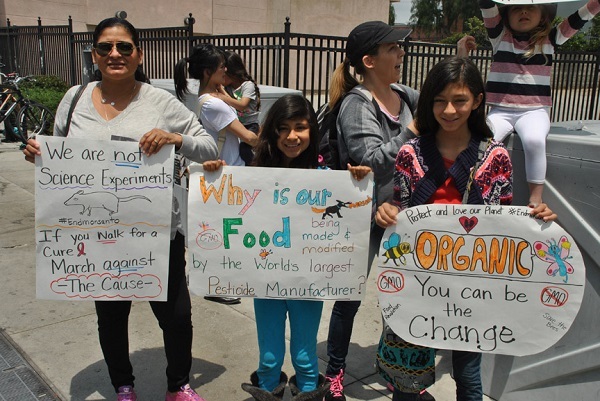 “We need to stop feeding humanity such a vile toxin,” said one protester. Photo credit h/t to John Graf for the above two photos. 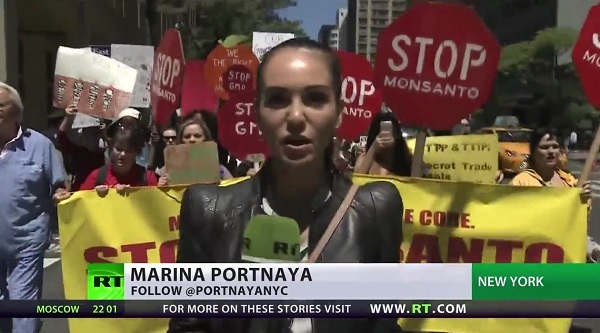 As expected, virtually the entire “sellout” mainstream media refused to cover the event, pretending that the citizens of the world aren’t rising up against an enormous corporate evil that threatens the future of our planet. 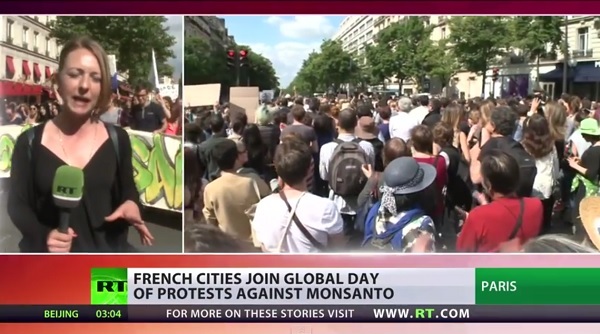 The Associated Press ran a story mentioning local protests in Hawaii but refused to print the words “March Against Monsanto” or to even mention that these protests were taking place in over 400 cities across the globe. Nearly the entire western media has been infiltrated and corrupted by Monsanto, including the once-respected magazine National Geographic which now functions as the propaganda arm for the life-destroying biotech industry. National Geographic’s magazines are now filled with multi-page ads for Big Pharma and Big Biotech, while its editors ludicrously attempt to paint scientists and citizens who have concerns about GMOs as tin foil hat-wearing lunatics. Once-celebrated newspapers like the Washington Post have also been entirely overrun by Monsanto infiltration and disinformation. The paper’s science editors function as nothing more than Monsanto puppets and propaganda mouthpieces, pushing biotech talking points as if they were scientific fact while utterly ignoring the realities of cancer-causing glyphosate, seed supply monopolization, genetic pollution and Monsanto’s lawsuit attacks on farmers. 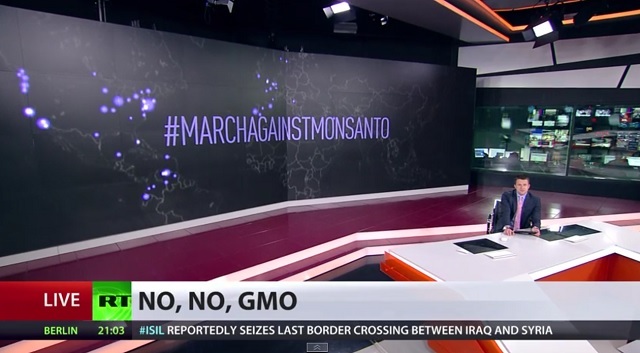 Today, only the Independent Media covers the truth about Monsanto, GMOs and glyphosate. Every mainstream media news source has sold out humanity to pure evil. 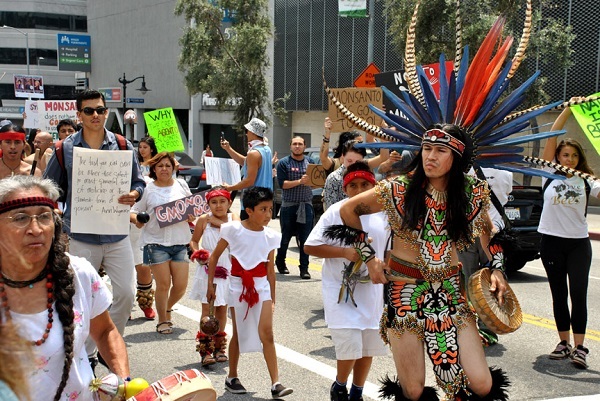 This year’s marches featured increased emphasis on the toxicity of Roundup (glyphosate), Monsanto’s weed killer chemical that’s sprayed liberally on crops. Glyphosate has been linked to cancer by the World Health Organization, and researchers around the world believe glyphosate is linked to increased risks of cancer tumors in humans and animals that consume GMO crops. Glyphosate is also now strongly suspected of contributing to the autism epidemic. Dr. Stephanie Seneff from the Massachusetts Institute of Technology (MIT) is now warning that if the chemical poisoning of our world isn’t stopped, nearly half of all children born in the United States by the year 2025 will be autistic. 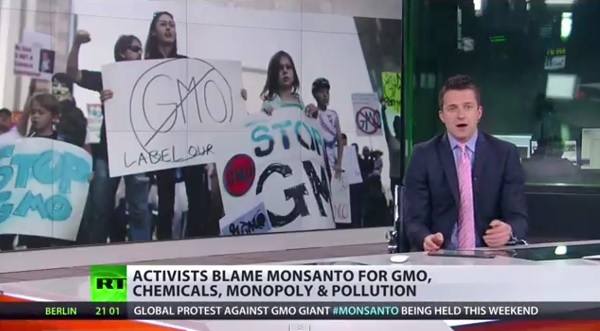 Natural News has been key in exposing Hillary Clinton’s deep ties to Monsanto. Now known as the “Bride of Frankenfood,” Hillary Clinton is a pro-Monsanto operative who hired a top Monsanto lobbyist to help run her campaign. She also represented Monsanto as a lawyer with her now-infamous Rose Law Firm in Arkansas. Clinton is so pro-Monsanto and pro-GMO that she even spoke on behalf of the Biotechnology Industry Organization. 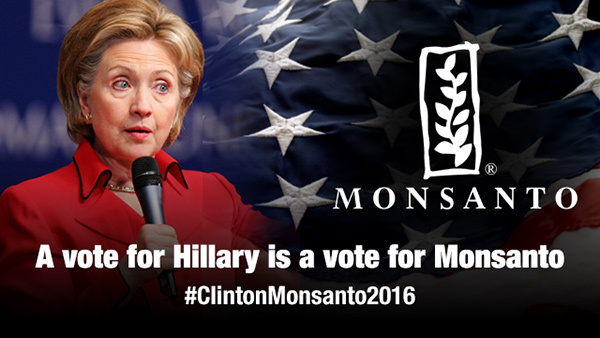 If Hillary Clinton becomes President, Monsanto will occupy the White House. This is why it’s absolutely crucial that the Democratic party find someone else to win the primary who isn’t a Monsanto puppet. • Possibly even attempts by the FDA to outlaw non-GMO Project Verified labels in the same way they attacked hormone-free labels for cow’s milk. Is it Gluten Intolerance or are We Being Poisoned? I have Celiac Disease symptoms in the USA, but not in Italy or most places in Europe that regulate their food and lean “bio” or organic. The incidence of Celiac Disease and Gluten Intolerance and all the gut-wrenching, bloating, and autoimmune disorders it can cause has exploded over the past 10-15 years, and now we may know why. I began having symptoms like terrible stomach and gut pain, severe bloating (five pounds of fluid in an hour that lasts for days), fatigue, joint pain, rapid weight loss, migraines and malnutrition in the Midwest right when these herbicides began being used in my beloved Heartland, and now they’re used all over—and much more. As someone close to the farming process and those who farm, including friends whose farms were bought out by Monsanto, making them employees of this behemoth, I can tell you that there are many other chemicals used in planting, during the growth phase and pre and post-harvest. Researchers are focusing on one in particular, a chemical in Monsanto’s herbicide Roundup named glyphosate. This toxic compound has been shown to cause Celiac-like symptoms in animals. Since glyphosate-based herbicides appeared on the market in the 1970s, the incidence of Celiac in America have skyrocketed by 400 percent. Coincidence? Or maybe much more. 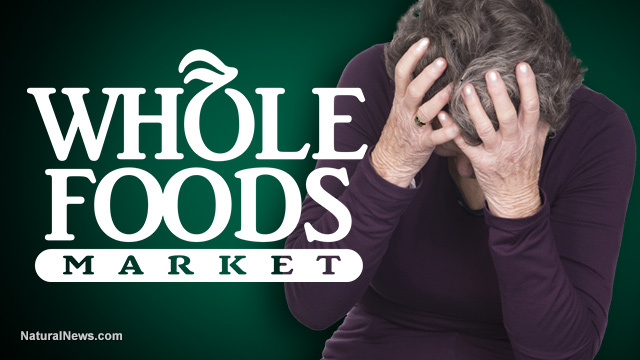 As someone who grew up in the Midwest where Monsanto and their herbicides began moving into our food supply—and as someone who developed this disease at the exact same time, after being alive for 15 years without any symptoms whatsoever, I can tell you this company is no joke and they don’t care about your health—just the bottom line. They and other companies like them are the factory farms of vegetables and grains. If we as yogis or supporters of small, family, organic farms and if we are at all concerned about the wellness of ourselves and if we wouldn’t let our children eat Oscar Mayer hot dogs three times a day, or give them a spoonful of herbicide once a year—then why are we participating in, and then mystified when strange illnesses begin presenting themselves after a few years of eating those “regular old” bagels, pasta, muffins and tofu? Now, I’m aware that there are genetic markers for Celias Sprue (aka Celiac Disease), and some people are absolutely unable to ingest wheat or other gluten-containing products. I’m not advising you to go to Italy with me and chow down on a fettucini Alfredo, and I know other countries, including Italy, are exhibiting Celiac as well. However, it’s worth noting that many, many people without the genetic marker are reacting to gluten. And some with the genetic marker, myself included, react far worse to conventional or GMO or sprayed wheat, corn and soy, than non-GMO and non-chemicalized product. 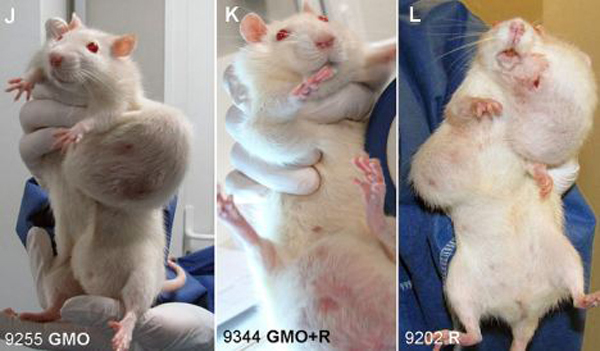 In countries like Italy, where GMO and chemicals are not as ubiquitous as in the States and Canada, we see the disease rearing its ugly head at a fraction of what it is here. I believe all people, whether you are exhibiting symptoms or not, would do well to cease their support of non-organic foods containing pesticides, herbicides, hormones, antibiotics and other crap. I believe we are intelligent enough to stop arguing about the fact that we should no longer swallow—or support companies that spray their products with things that kill life forms like insects, plants and animals–and, quite possibly—us too. What do you think? Is Celiac Disease something our bodies just suddenly all made up at once? Or is it environmentally caused by this company and others like it? What are you gonna do about it in your own diet? I’m personally boycotting products made from Monsanto-produced food, other pro-chemical companies and as many GMOS as I can suss out of my daily diet. I am going to focus solely on small, organic family farms. And please—remove saccharin and aspartame (fake sugars and things containing them). Our bodies are trying to get us to listen to the simple fact that we cannot continue arguing Mother Nature.